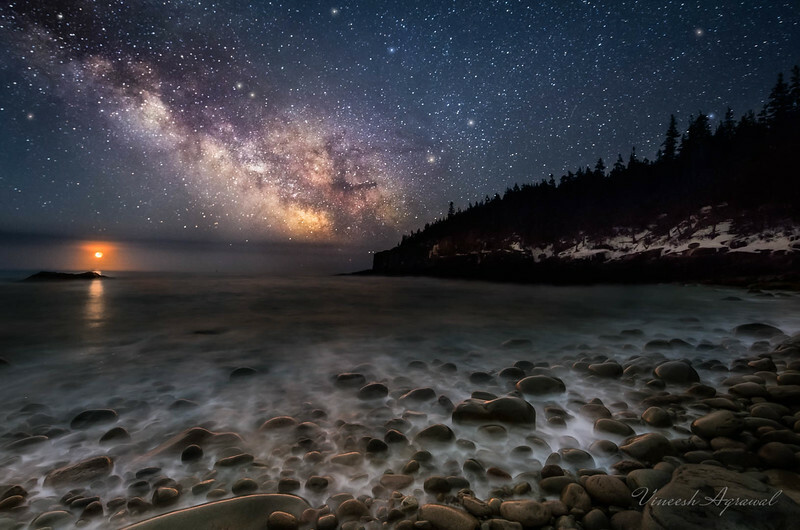 This image was created on one of my favorite locations on the coast of Maine, We arrived at this spot around midnight hoping for some cloudless skies. Unfortunately, it was completely overcast. We decided to wait for a little while with hope of it clearing up. About 2 hours later, the stars started showing, and I shot this image. 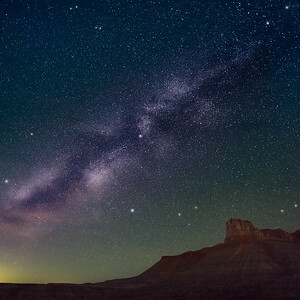 This is a composite image with different exposures for the sky and the foreground. The technique is similar to HDR (High Dynamic Range), where two or more exposures are blended together to give one image with more detail than a single exposure. This image was shot on a full moon night which is surprisingly bright enough, and hence the foreground looks as if it has been shot during the day. There was almost no wind and the water was almost completely still, giving fairly clean reflections. The wind picked up rapidly almost as soon as I was done shooting. 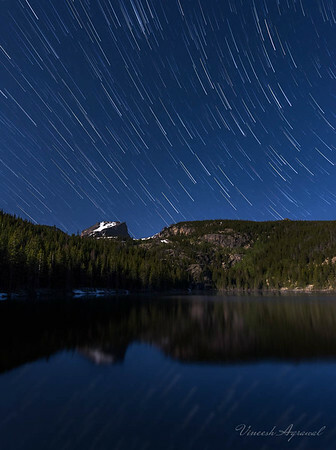 This is a stack of multiple images, and the star trails are caused due to the rotation of the earth. A similar image can also be produced using very long exposures, but the resulting images can have a lot of noise, hence I used the stacking method. 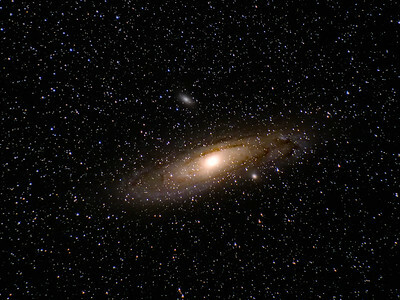 The Andromeda Galaxy is the largest cosmic thing visible to the naked eye in the night sky. Surprising, isn't it! We mistaken that the moon is the largest object visible, but the Andromeda at its widest part is about 6 times the size of the visible full moon. 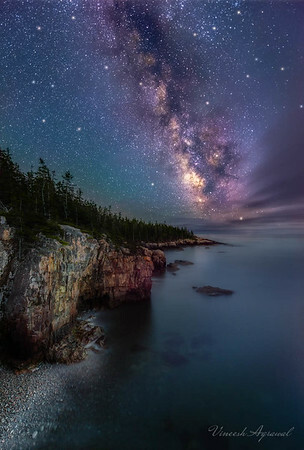 The reason we don't see it as such is because of its low brightness as compared to the stars from the milky way, which are closer and hence much brighter. In very dark skies, we can sometimes see the bright core of the Andromeda. Long Exposure photography was used to generate this image. The other 2 bright objects in the image are also galaxies, M110 (above Andromeda) and M32 (just below Andromeda). 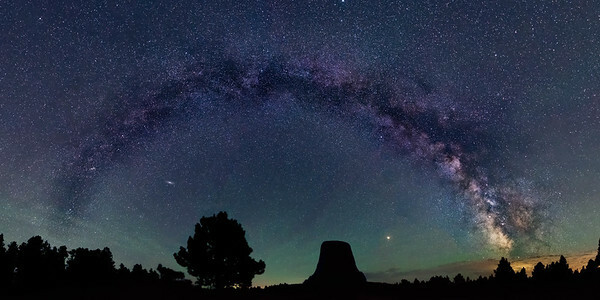 The milky way arching over Devil's Tower with Mars and Andromeda visible. 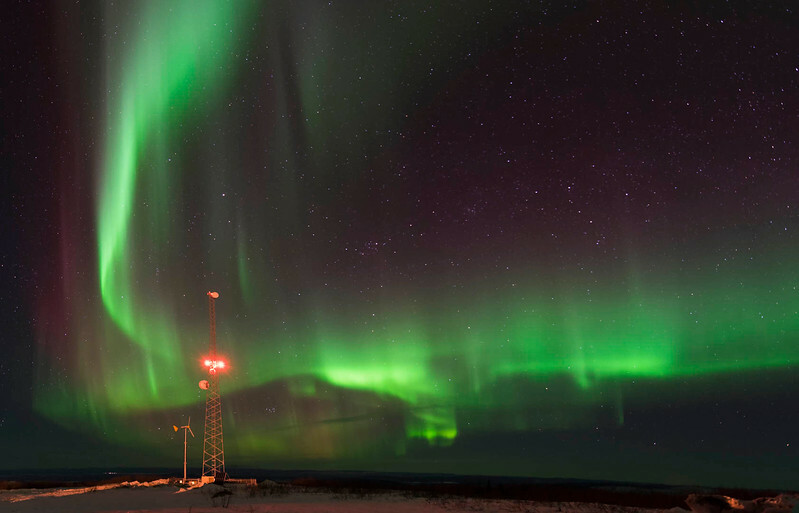 The greenish hue near the horizon is due to air glow. 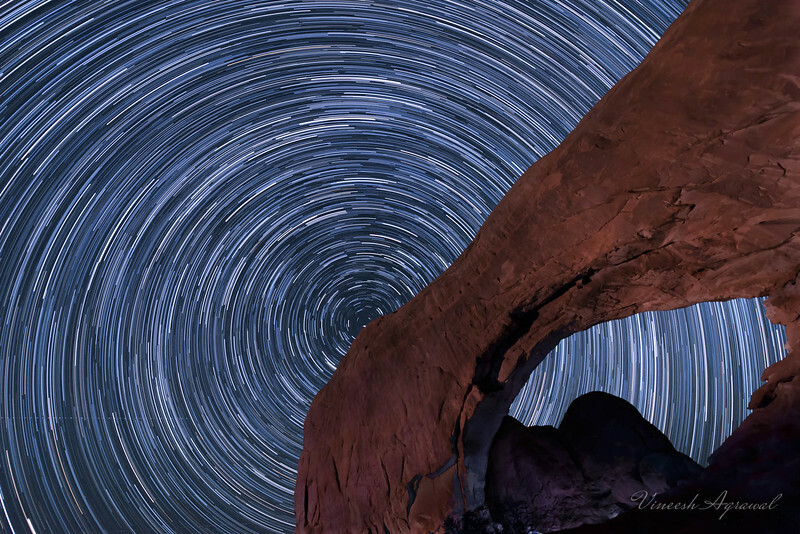 This image is a 180deg x 90deg panorama, comprising of 9 images. 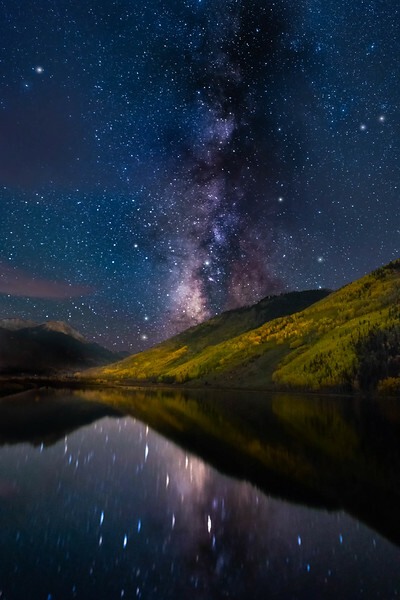 Made from 7 light frames (captured with a NIKON CORPORATION camera) by Starry Landscape Stacker 1.5.1.